Kristen Stewart's character has been spotted on the Charlie's Angels reboot set. Production on the movie started recently, and these are the second batch of photos to leak. Elizabeth Banks is behind the camera for the reboot, which will also see the director in front of the camera as Bosley, alongside Patrick Stewart, and Djimon Hounsou, who are also playing different versions of the character. Bosley was played by one actor on the original Charlie's Angels TV series and previous two films. In the latest Charlie's Angels set images, Kristen Stewart is shown with a handgun in hot pursuit. The actress recently talked about the reboot and called it "woke" and "well-intentioned." Aside from the action shots of Stewart, she's also seen hanging out, taking a break in between takes and hiding her weapon. None of the other angels are seen in these particular images from the reboot to leak. However, now that these photos have surfaced, more should be on the way. Djimon Hounsou is the latest cast member to join the Charlie's Angels reboot as the third Bosley. The need for three Bosleys is more than likely because Charlie's operation has expanded. Kristen Stewart, Naomi Scott, and Ella Balinska are only the three latest Angels that we'll see in the film, which leads one to believe that there could be future films that utilize other characters. Along with those aforementioned changes, Stewart says that the reboot will strip away the kitsch element of the previous installments, and will instead focus on how well the three women work together. The original films from the early 2000s starred Drew Barrymore, Lucy Liu, and Cameron Diaz. The franchise was successful, earning over $523.2 million worldwide, though the first installment made slightly more money and was better received than the sequel. The first two movies, along with the new reboot are all based off of the TV series of the same name that was created by Ivan Goff and Ben Roberts, and ran from 1976 to 1981. The Charlie's Angels reboot started filming back at the end of September and it will hit theaters on September 27th, 2019. The film also stars Noah Centineo, Sam Claflin, Jonathan Tucker, and Luis Gerardo Mendez. The reboot was first announced back in 2015, with Elizabeth Banks signing on to direct in 2016, but it was going to be a TV series. It wasn't until 2017 that it was announced that the project was going to be a feature-length film instead. Banks says that the movie will honor the original TV series, while honoring the legacy of Charles Townshend's agency. Kristen Stewart, Naomi Scott, and Ella Balinska were announced as the latest Angels in July of this year. 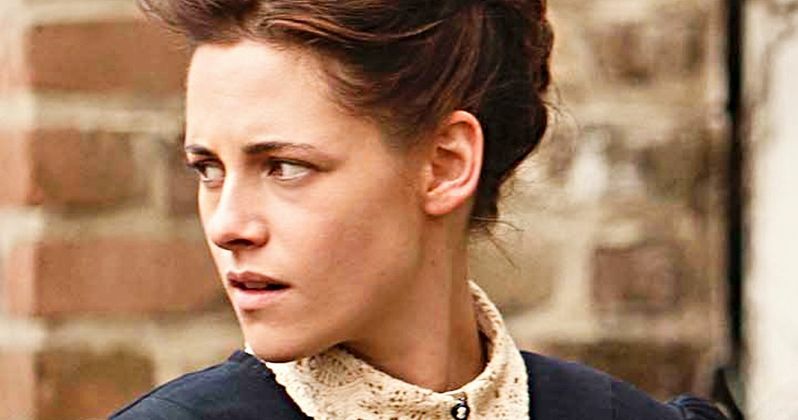 You can check out the set photos of Kristen Stewart in action below, thanks to Just Jared.